Its just few months ago we introduced a foldable concept dubbed as Motorola RAZR V4 which was our version of how the foldable display flip phone from the Motorola should look like. 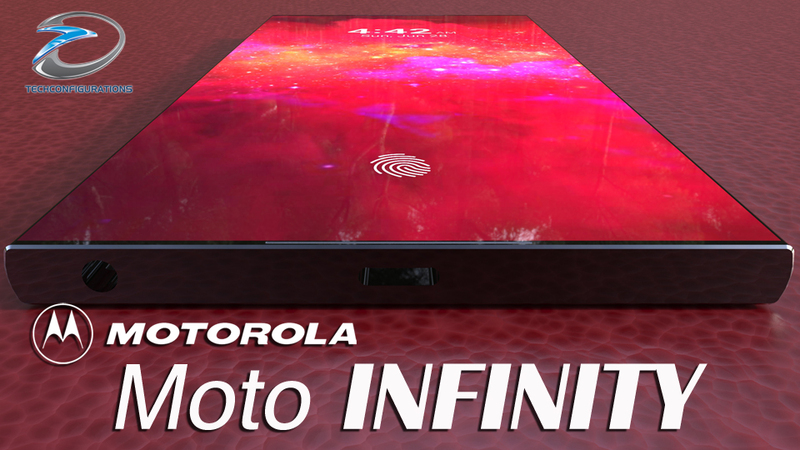 Now today we are back with another interesting concept design but this time its all about screen space and we would like to call it as Motorola Moto Infinity. Here we have tried to attain the maximum possible screen space without having to implement a notched display design. We have achieved this by moving the front camera into flippable rear attachment which will make it possible to use the camera both front camera as well as the secondary rear camera for the triple rear camera setup. Check out our concept video below to know more ab out it . Motorola Moto Infinity concept features 6.3inch display that literally stretches from edge to edge just like a Infinity pool with 99% screen to body ratio and stereo speaker on either side. The flip camera on the back can be brought up when front camera is activated while it acts as a one of the rear cameras then retracted . We have tried to make this concept look bold and beautiful with elegant design elements and at the same also adding latest tech like the indisplay fingerprint scanner and triple camera module. Talking about the specification the Motorola Moto Infinity concept is having a 6.3 inch QHD OLED display with 18:9 and 99% screen to body ratio. It is powered by Qualcomm Snapdragon 855 chipset with 4/6GB of RAM and 128/256/512GB internal memory. The camera department will feature 12MP front camera while on the rear it features a 12+16+20MP triple camera module. The Motorola Moto Infinity concept will be build out of metal glass with IP68 certification for water and dust resistant.